Edison, N.J., November 13, 2014	(Newswire.com) - Labor icon Peter J. McGuire (1852-1906) was formally inducted into the New Jersey Hall of Fame Induction Ceremony today, at the Paramount Theatre, Asbury Park, N.J.
McGuire, a carpenter by training, has long been recognized as a pioneer in the labor movement. 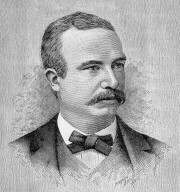 The Northeast Regional Council of Carpenters (NRCC) (www.northeastcarpenters.org) spearheaded the vote for McGuire, urging carpenters and noncarpenters throughout the country to vote for the man, who was a towering figure in the labor movement. His efforts affected not only union members but also the average working person throughout the United States. McGuire is the first labor leader inducted into a list of luminaries that is replete with entertainers, politicians, sports stars, businesspeople and historical figures. · Gaining national acceptance for the eight-hour workday. · Laying foundation for a five-day workweek. · Creating and obtaining recognition for Labor Day, which honors all American workers. · Co-founding the American Federation of Labor, a forerunner to the AFL-CIO. · Helping promote one of the first Bureau of Labor Statistics in the United States. · Becoming the first General Secretary of the United Brotherhood of Carpenters. McGuire has a special connection to New Jersey. He helped organize signatures for a charter establishing a number of Newark locals. McGuire, a longtime Camden resident, died at the home of his daughter, on Feb. 18, 1906. He is buried in Arlington Cemetery, Pennsauken, New Jersey. Other 2014 Inductees include: Dorothy Parker, Brian Williams, Howard Katz, Alice Waters, Dizzy Gillespie, James Gandolfini, The Shirelles, James Florio, Elizabeth Cady Stanton, Patrick Ewing and Maud Dahme. Galileo Communications, Inc. provides public relations, publicity services and editorial consulting.